My cactus spent the summer out on the front porch in part shade. The day I brought it inside I could already see buds beginning on all the branch tips. Now it's covered in these gorgeous fairy flowers! A bit too much back light, but you get the idea. Of course, sadly, the blossoms will fade and drop starting by Thanksgiving and come Christmas this plant will be set on a shelf, out of the way, just a memory of a spectacular burst of color. 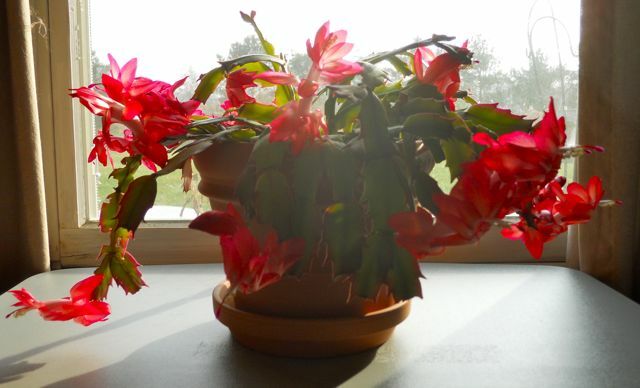 That looks like the kind called the Christmas cactus. Of course it won't bloom at Christmas! I luv them, but don't have any luck with most potted plants. The same thing happened to me! I left it on the porch all summer. There were a couple cold-er days and I finally brought it in two weeks ago or so and within a day, blooms! Love it! 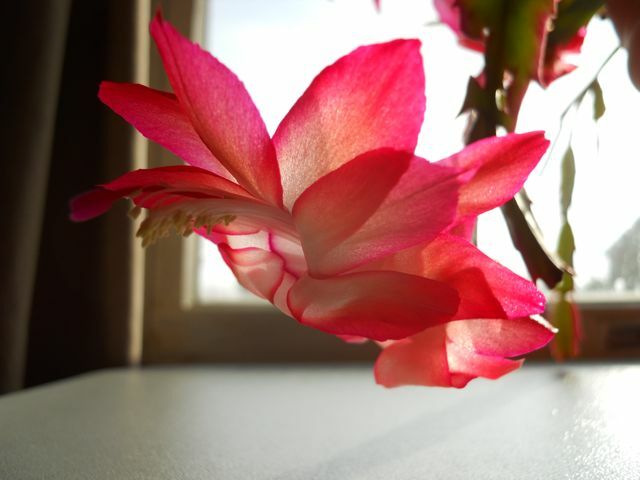 I don't think my Christmas cactus bloomed at all last year - the secret must be fresh air. So pretty.